UPDATE: Sadly, the bald eagle has succumb to lead poisoning. Companion Animal Hospital in Tamaqua is telling hunters that lead from bullets can cause harm to wildlife if hunters don’t take responsibility for finding any animals the shoot. 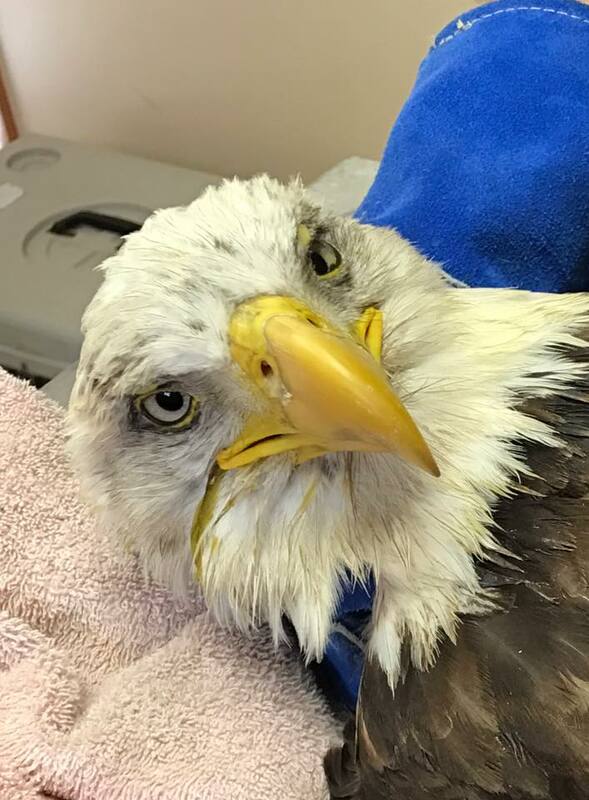 Today, they shared the status of a sick American bald eagle suffering from lead poisoning, possibly after ingesting a rodent with a lead pellet or buck shot inside.